Enterprise Software UX: What is considered good user experience? Good design and easy operation are an integral part of our lives. Both in devices we use daily as well as in software, a successful user experience has become established as an important success factor. So why not use the proven delivery methods from the consumer app world to make enterprise software UX just as attractive, intuitive, and ultimately efficient? Enterprise applications have to meet high demands, as they are often based on business model needs. This makes them much more expensive to develop or purchase off the shelf. In order to keep costs as low as possible, it has often been resorted to all-in-one solutions that consist of countless operating masks and only cause confusion and frustration among employees. So what makes good enterprise software UX? Before we get down to business, a short explanation: User Experience (UX) is not to be confused with User Interface (UI). In fact, both concepts are closely interwoven and can hardly exist without each other in the digital world. While the term user interface is almost self-explanatory— the interface on which the exchange between man and machine takes place—the user experience encompasses several things. Under UX, all actions, emotions and experiences of a person are to be understood in relation to a specific product, system or service. A successful user experience design also includes a solid understanding of how users handle a product. Modern enterprise design needs a consumer-grade UX. Previously, business software was selected by a C-level manager and staff had to use the tools provided to them. When operating a business application was complicated and counterproductive, employees tried to circumvent it with their own manual solutions. Unfortunately, in some companies this is still a reality today. However, the tendency is for teams and staff to choose their own tools as much as possible. Starting with the calendar tool via the communication tools and the design tools up to the document filing system. The applications that are preferred for doing business tasks are also those that would be eligible for private use. In other words, the software with the best user experience wins. More and more decisions are being made about tools from the bottom up. Employees choose the software they love, not the software they are forced to do. It’s not just employees who get along better with the software , but also the employer, as their employees become more efficient. The conclusion for companies and developers is that they should focus on user needs when buying or developing new applications. As others are already successful, see the examples below. ERP applications that are fun? 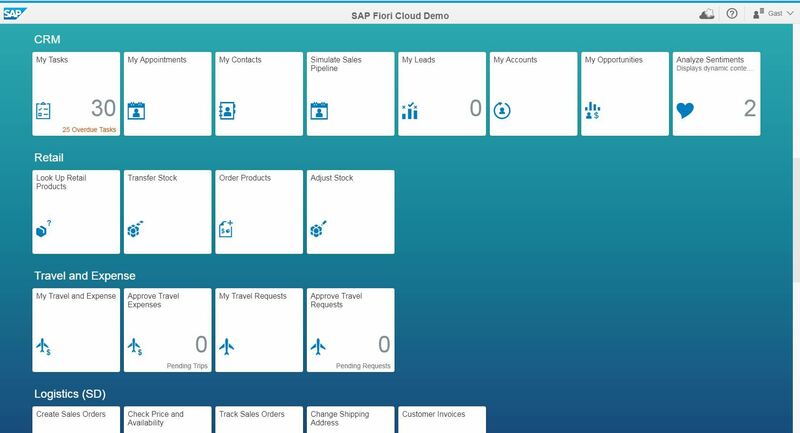 With SAP Fiori, the German software giant has developed a holistic UX concept that proves that even demanding business applications can be intuitive, understandable and above all attractive. The proof that it really is like this? The extremely positive user experience of SAP Fiori has been awarded the Red Dot Design Award. The SAP Fiori User Experience Design has been designed to simplify common business processes. The focus is on a personalized user experience that will give business applications a family feel. The new UX concept from SAP also refrains from the image of monolithic solutions and instead relies on a surface that has been reduced to the essentials and is available on any device – even on the Apple Watch. The online tool Trello is based on this simple principle of work organization. Trello became known as one of the first tools to make Kanban-style digital project management accessible. The kanban method is characterized mainly by its column structure, which represents the various task statuses (open, in progress, done, etc.). The special thing about Trello is the possibility for teamwork and that’s where the successful UX comes into its own. With features such as drag and drop, “backs” of index cards containing more information, different colors, sub-tasks, and file attachments, team project management not only becomes easier, but also more enjoyable. Trello convinces completely – what his countless satisfied users confirm. If you said that MailChimp revolutionized email marketing, you’d be right. Because with MailChimp, even users without technical background design experience can create contemporary-looking email campaigns very easy. 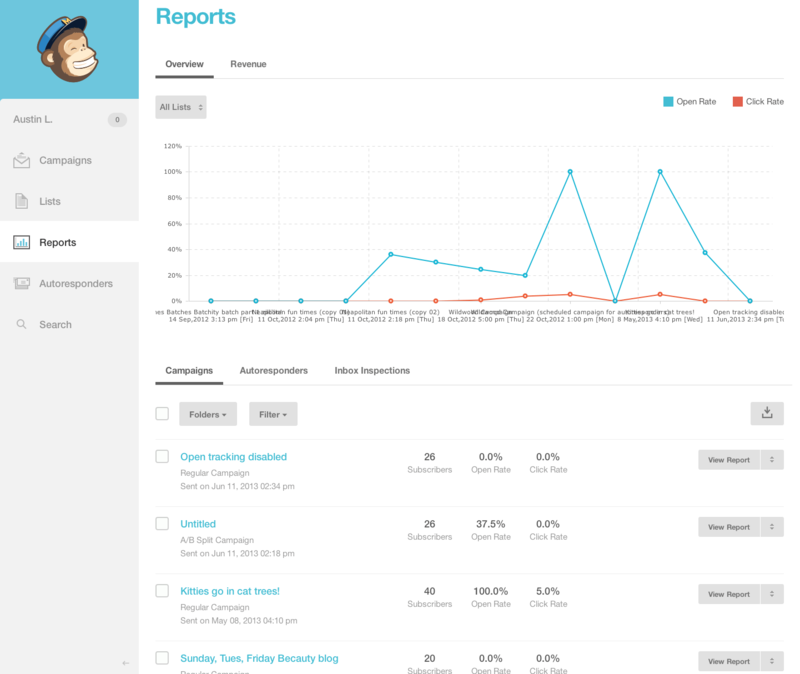 How did MailChimp succeed? Through the targeted analysis of user data in order to respond to the needs of the user. MailChimp’s UX team even released a free ebook revealing the key to success based on 180 pages of other UX designers. An insider tip would be to create a user experience that will be remembered. MailChimp is partly succeeded by humorous messages that make you smile. Try to make each application as simple as possible, but never simpler than it really needs to be. For this they need to know the needs of the users as well as possible, which can be achieved with a tool-based analysis of the user processes in the form of the so-called user stories. Role-based user interfaces are often a smart solution to creating a pleasant user experience. If there are no pre-defined user types, then you can also use fictional personas and try to develop their work in an elegant and innovative way. Pay attention to details: A nice UI can contribute a lot to a successful UX. Icons, shades and harmonious colors are just as important as the welcome pack when loading the application or the error message when something goes wrong.